BERKELEY, CA, and NEW YORK, June 8, 2017 – Sovos Brands, a new food and beverage company formed by Advent International, today announced that it has agreed to acquire Rao’s Specialty Foods Inc., the producer of Rao’s Homemade, the leading brand of super premium pasta sauce made with only the highest quality natural ingredients. The transaction is expected to be completed during the third quarter of this year. Financial terms were not disclosed. 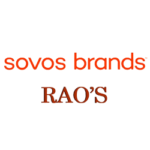 Rao’s Specialty Foods is the second acquisition in less than six months for Sovos, which seeks to acquire and build value in one-of-a-kind food and beverage brands. In January 2017, the company purchased Michael Angelo’s Gourmet Foods, a leading producer of premium, authentic frozen Italian entrées. Headquartered in Berkeley, CA, and led by seasoned consumer packaged goods executives, Sovos focuses on high-quality brands in on-trend categories with the potential to accelerate growth by investing in distribution, marketing, production and product innovation. Rao’s Homemade is an iconic brand with a storied heritage dating back to the opening of Rao’s Italian restaurant in East Harlem, New York, in 1896. Established in 1992, Rao’s Specialty Foods produces super premium pasta sauce, known for its commitment to the highest quality ingredients, clean label and superior taste profile. Rao’s Homemade contains no tomato blends, paste, water, starches, fillers, colors or added sugar like many of the other leading brands. In addition to sauces, the company offers a selection of premium dry pasta, dressings, marinades, olive oils, vinegars, tomatoes and fire-roasted red peppers. Spearheading the acquisition and value creation initiatives at Sovos Brands is a team headed by Mr. Lachman, Larry Bodner, CFO, and Bill Johnson, Chairman. Mr. Lachman has a 25-year record of delivering growth and value creation as a senior executive at major consumer products companies, including Mars, Del Monte Foods, H.J. Heinz and Procter & Gamble. Mr. Bodner has over 25 years of experience as a performance-driven financial executive at companies including Big Heart Pet Brands, Del Monte Foods, Walt Disney and Procter & Gamble. Mr. Johnson was formerly chairman, CEO and president of H.J. Heinz, where he had a distinguished 31-year career, transforming the company into a global food industry leader. The transaction does not include the iconic Rao’s restaurants in New York, Las Vegas and Los Angeles, which will remain under current ownership. Advent International has significant investment experience in the retail, consumer and leisure industry. Over the past 27 years, the firm has invested more than $9 billion in 71 companies in the sector across 21 countries worldwide. In addition to Sovos Brands, recent North American investments include Noosa Yoghurt, lululemon athletica (NASDAQ: LULU), The Coffee Bean & Tea Leaf, Serta Simmons Bedding, Party City (NYSE: PRTY), Bojangles’ (NASDAQ: BOJA) and Five Below (NASDAQ: FIVE). Morgan Stanley & Co. LLC is serving as exclusive financial advisor and Morrison & Foerster LLP is serving as legal advisor to Rao’s Specialty Foods on the transaction. Weil, Gotshal & Manges is serving as legal advisor to Sovos Brands and Advent International. Founded in 1992, Rao’s Specialty Foods is a leading producer of super premium pasta sauce, with Rao’s Homemade ranking as the leading brand in the super premium pasta sauce segment. In addition to sauces, Rao’s Specialty Foods offers a selection of premium dry pasta, dressings, marinades, olive oils, vinegars, tomatoes and fire-roasted red peppers. Rao’s Specialty Foods provides customers with high-quality products made with homemade ingredients, including 100% Italian tomatoes. Sovos Brands is a new kind of food and beverage company with a mission to acquire and build one-of-a-kind brands. The first brand in its portfolio, Michael Angelo’s Gourmet Foods, is a leading producer of premium, authentic frozen Italian entrées. Sovos Brands has the soul of a startup, the experience of an industry leader and the financial backing of Advent International, one of the world’s largest private equity firms. The company has a one-of-a-kind approach to brands, business and people—in fact, the only thing that’s old school about the business is the name, inspired by the old Latin term sovos, which means unique or one of a kind. This one-of-a- kind vision leads the company’s focus on people and brands, working to ensure that both can really thrive. Founded in 1984, Advent International is one of the largest and most experienced global private equity investors. The firm has invested in 325 private equity transactions in 40 countries and as of December 31, 2016, had $41 billion in assets under management. With offices on four continents, Advent has established a globally integrated team of over 180 investment professionals across North America, Europe, Latin America and Asia. The firm focuses on investments in five core sectors, including business and financial services; healthcare; industrial; retail, consumer and leisure; and technology, media and telecom. After more than 30 years dedicated to international investing, Advent remains committed to partnering with management teams to deliver sustained revenue and earnings growth for its portfolio companies.